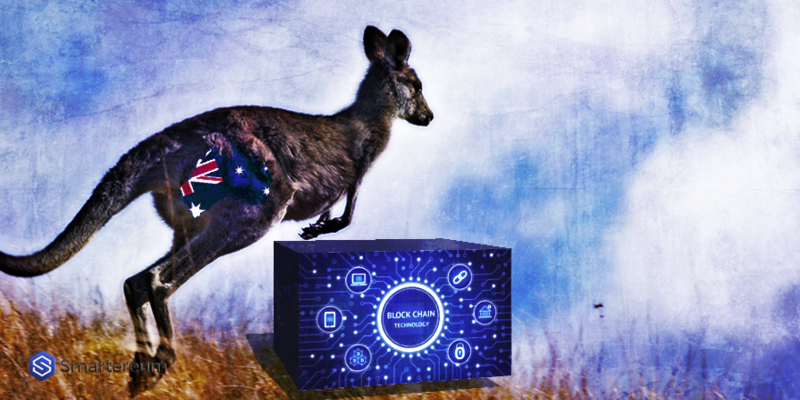 Australia has detailed its blockchain strategy while also increasing government funding toward advancing the technology in the country. In a joint press release titled “Advancing Australia’s blockchain industry”, Australia’s Minister for Industry, Science and Technology Karen Andrews and the Minister for Trade, Tourism, and Investment (Austrade) Simon Birmingham announced that the government has developed a blockchain roadmap. Countries and regional bodies have their hands full trying to figure out and implement the best blockchain approach. Usually, an approach that will encourage innovation around the nascent technology. However, most countries have not developed detailed guides on how to approach and encourage blockchain innovation. The ones who do, set themselves for an influx of blockchain-related businesses and like interests. To develop the roadmap, Andrews noted that the ministries will work with blockchain and technology experts from industry and academia. They will use data provided by Commonwealth Scientific and Industrial Research Organisation (CSIRO) to cover possible blockchain scenarios. Per the announcement, the government was supporting the blockchain industry in the country with a financial boost of AU$100,000 (approx. $75,000). The funds which is part of Austrade’s mission to Consensus, an annual blockchain conference organized by Coindesk. “Austrade’s upcoming mission will connect Australian blockchain companies and start-ups with investors and customers with a view to expanding their businesses globally,” the statement read adding that Consensus, which will take place in New York later in the year will present significant opportunities for Australian tech companies to showcase their products on the world stage. In the past, the Australian government has injected cash into the blockchain sector in the country through its agencies. Within 2018 and the present year, Australia has given AU$700,000 (approx. $500,000) to its Digital Transformation Agency to explore the benefits of adopting blockchain for government payments. The country has also issued AU$350,000 (approx. $250,000) through its standards organization to promote the development of standardized international blockchain standards. As Smartereum reported last May, the Australian Department of Home Affairs (DHA) said it was exploring the use of blockchain technology for a secure and modernized international trade and supply chain management. At a joint committee in Sydney, the agency proposed a system that will harmonize all government activities and trade processes such that future transnational end-to-end supply chains will be conducted based on real-time actionable data. The government has also considered tokenizing bonds and debts on the ethereum blockchain. Last year also, the Australian government entered a 5-year partnership with tech giants and blockchain innovators IBM. Through the deal, Australia plans to improve data security and automation across federal departments through blockchain and other emerging technologies. Next articleWhy Binance Could Become The First Centralized Company To Achieve Total Decentralization?